Send flowers and gifts to India, floral designs by local florist in India. Stunning blooms displayed in a variety of colors. Leading online florists for sending fresh blooms to India. Online floral and gift shop for flower delivery and gifts all over India at low and cheap prices. 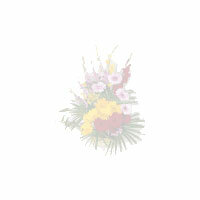 Send flowers to India through India Florist today. Send flowers to India, red roses, pink roses, yellow rose buds, gifts to India for your loved ones. Serenade your beloved with flowers. Online Indian florists, Gift of flowers and cakes to India including Ahmadabad, Bangalore, Bhopal, Chennai, Dehradun, Delhi, Gurgaon, Gwalior, Hyderabad, Jaipur, Kanpur, Kolkata, Lucknow, Meerut, Mumbai, Nagpur, Noida, Panchkula, Trichur, Thrissur, Varanasi and all over India. Indian florist will send gifts and flowers to India on the date you choose. Send Sweets to India, Flowers to India, Free Home Delivery to India, Send Flowers to India, Online Gifts to Mumbai. Online Flower shop for serenade gifts. send fresh cut flowers, valentines and other gifts all over India for your loved one's birthday or any other occasion.